Way back in August I met a brand called Alflorex. When I first heard about them I became really interested in the brand and their new product. So, when I heard that they were going to be at the Blogger's Festival I was really keen and excited to meet them and to talk to them about Alflorex and how it works. 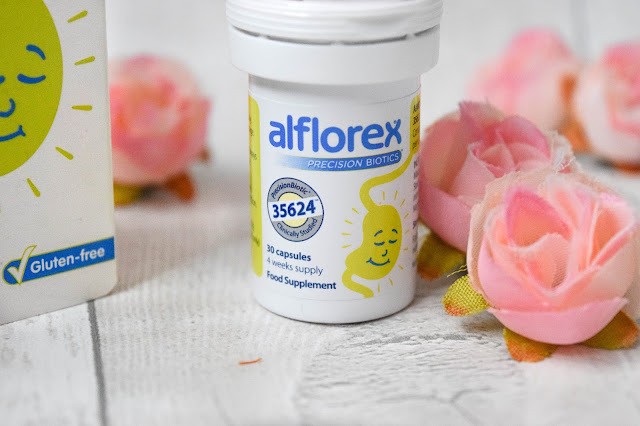 Alflorex is a precision biotic food supplement that has been proven to support individuals suffering with IBS and being a sufferer myself I really wanted to try it out and see if it worked for me. I've never really spoken about my struggle with IBS because it's simply embarrassing. Bowel movements and problems of that sort aren't the nicest of conversations but I have to say, I felt quite alone suffering with this in what felt like silence. It's something not many people talk about though it affects many. 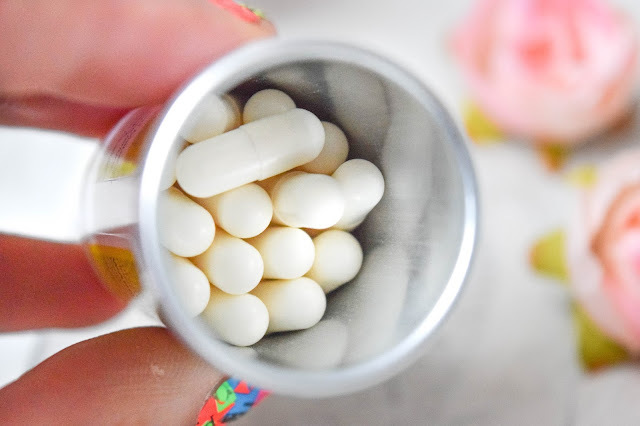 It's not exactly the nicest topic of conversation but it has been comforting seeing other bloggers being courageous enough to share their stories, which has inspired me to share my story and experience with IBS and Alflorex today. My IBS was originally triggered by work stress. It began suddenly about 4 years ago and it's been a battle ever since. Without trying to be too TMI, I was always worried about being away from home where I was more comfortable and I could deal with it more easily and stress-free. But I was always worried about it happening away from home, whether I was at work, out shopping, with John.... anywhere! It would stress me out completely and especially if I knew I was going to be in public or didn't have access to a bathroom if I was going to need it. It was unmanageable and it started to affect my happiness, relationships and my social life. When I quit my retail job and started working towards my dream career in education, I found that I was much happier with my life and my work that my stress became significantly reduced and so was my IBS! But unfortunately not enough to get rid of it completely. Now, I had to find out what food triggers it had. It took a long whilst to figure them out but I finally found out that it was mainly bread and richer foods like pasta with lots of sauce and things like that. I cut these from my diet, but not completely. I found I could tolerate these every now and then but not all the time. It's weird and I can't quite explain it but I know what they are and how to handle it depending on how I feel and what I've already eaten that day. Another thing I would do to help manage it would be to opt for gluten free options if restaurants had them to be on the safer side. And this is where Alflorex comes in. I tried Alflorex throughout the month of November and I know this review is here super late but I wanted to find out what happens when I stopped taking it too. Alflorex is not the cheapest thing and I wanted to see how much they were really helping me and how much I really needed them. If they worked and the IBS symptoms started to come back, I'd be buying Alflorex again. But if not, I wouldn't... Let's see which. So again, from what I understand (and please don't quote me here in case I'm wrong! 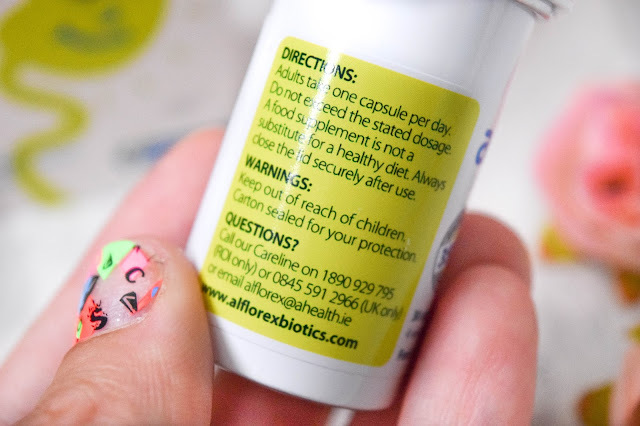 ), Alflorex is a food supplement with a precision biotic called 35624 culture. Alflorex is the only product available in Europe that contains the 35624 culture and is essentially a healthy bacteria that 'clears' your digestive system from all the bad bacteria that usually stays in your system and 'primes' your gut with the 35624 culture. It takes about 4 weeks for the product to start working at its best and should be taken consistently as part of a healthy diet to keep the culture in your system. 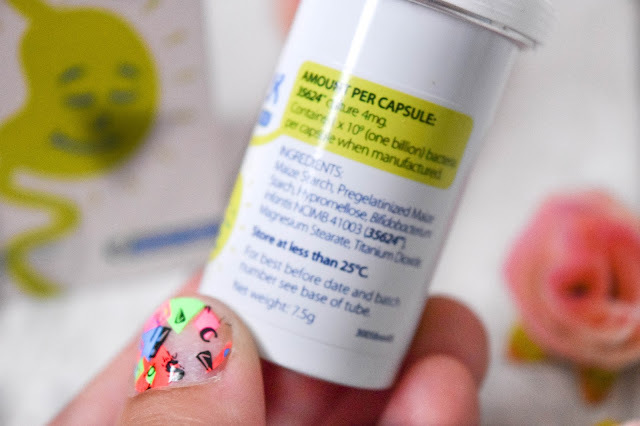 It comes in these tiny little white capsules which you take with or without food once a day and can be taken with any other medication safely. No side effects have been reported to happen but you can expect your bowel movements to change when you first begin taking the tablets. Now, what did it do for me? I followed Alflorex's instructions very closely and carefully. I simply took one of these in the morning before breakfast and I was done for the day. I was pretty desperate at this point for anything that would help me with my IBS once and for all so I was definitely not going to forget to take this in the morning. It could easily be done but I was so interested to see the results that I was confident I wouldn't forget to take them. And I didn't. After about a week I did notice that my bowel movements were having the opposite effect, but I couldn't complain about this. In fact, I was happy about it because this was an indication that the product was working for me and I was overjoyed with this information! As the weeks went on I did notice that I was beginning to regulate and I was feeling more 'normal' than ever. This is definitely TMI but I was so happy to go to the toilet normally! So as I mentioned before Alflorex recommends you to take this consistently as part of a healthy diet and to support sufferers of IBS. I wanted to see what happened if I stopped using it and I didn't see anything happen for about a month. At this point I did start thinking that I didn't need it anymore but just a week after the month had passed, I noticed that I started having more off days than before. It was only recently that I decided to go back to Alflorex and implement it into my diet for good now. With such positive results for me, I would recommend Alflorex to anyone suffering from IBS. Though this retails at about £29.95 on their website, they have special offers on all the time. But for someone with IBS who has been suffering for years, £30 is an investment into a normal lifestyle worth making. 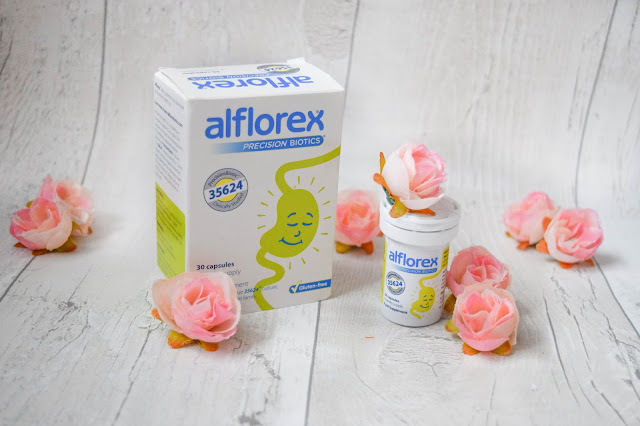 The product has been backed up with lots of research that you can read about on Alflorex's website and I can genuinely say that I am so much happier on Alflorex because it gives me the normal lifestyle I crave. I'm de-stressed, I'm confident again, I'm not always wondering where a bathroom is and I'm enjoying my food again without all the worries of IBS. I'm so glad I discovered Alflorex and if you're a sufferer of IBS, maybe you will be too when you do! As I mention, Alflorex takes effect around the 30 day mark. It's not going to work instantly but it's a product that is meant to be taken daily and embedded into your daily routine. If you're a sufferer I'd definitely recommend giving this a go for a month or two and see how you get on. I'm going to do a follow up post on my IBS story soon if you're interested in reading that.